This post is part nine of a series about how to maximize value when transferring your Chase Ultimate Rewards to loyalty program partners. Virgin Atlantic has many award charts when redeeming its Flying Club miles. There is one award chart to fly Virgin Atlantic and separate award charts for each of its partners. This is a post about sweetspots with Virgin Atlantic miles when flying Virgin Atlantic planes. There will be another post to follow that covers sweetspots on its partner award charts. There are a few valuable sweetspots on Virgin Atlantic Flying Club’s award chart flying Virgin Atlantic metal–namely economy and Premium economy flights from around the United States to London. Virgin Atlantic also frequently runs great sales and promotions. Another nice perk– their miles don’t expire until three years of inactivity. That’s a longer time period than most programs. Before we dive into sweetspots, here’s an overview of what you can do with Virgin Atlantic miles. One way Virgin Atlantic awards that fly Virgin Atlantic cost half the price of roundtrip awards. Since you can book one way awards, a roundtrip can have two open jaws. The Virgin Atlantic award chart prices awards to and from London. If you want to connect in London, but start and end somewhere else, say Los Angeles to Lagos, you basically pay for two awards: Los Angeles to London + London to Lagos. That means that technically the answer is that yes you can get a free stopover flying Virgin Atlantic awards on Virgin Atlantic flights, but you won’t get a good deal on awards with a connection or stopover. Virgin Atlantic awards unfortunately always include fuel surcharges on their own flights. I am never happy to pay them, but I am not foolish enough to never pay them. Even after the fuel surcharges, some of their awards have significant value thanks to low mileage prices. Using American Airlines miles, United miles, or Delta miles, the same flight would cost you 30,000 miles. I think it is worth saving 20,000 miles for $148 in fuel surcharges. That’s like buying miles for .74 cents each. Again, using American Airlines miles, United miles, or Delta miles, the same flight would cost you 30,000 miles. I think it’s worth saving 17,500 miles for $148 in fuel surcharges. That’s like buying miles for .84 cents each. The Legacy carriers charge 30k for the same flight. I still think saving 15,000 miles for $148 is worth it as it’s like buying miles for less than a cent each. All of the award prices for flying between cities in the United States and London in Premium Economy are still less than an economy award flying with any of the legacy carriers’ miles, and still only $148 in out of pocket expenses are collected on tickets originating in the United States flying to London. Premium Economy on Virgin Atlantic is more akin to United First Class on domestic flights than United Economy Plus. It’s not just a big seat; Premium Economy comes with all the amenities in this promotional video. For fewer miles than competitors charge for an economy award ticket, I think of the $148 fuel surcharge like a cheap upgrade fee for economy to Premium Economy. I’d definitely pay that. That’s a lot of flying (12+ hours) for the price tag. Using American Airlines miles, United miles, or Delta miles, the same flight would cost you anywhere from 35,000 to 55,000 miles. Virgin Atlantic’s Business Class–called Upper Class–is the best cabin on the plane. It offers offers a flat bed, Clubhouse access, and access to an onboard bar. American, United, and Delta charge 75,000 to 80,000 miles one way. You’ll notice that three out of the four of those listed sweetspots fly to London, instead of from London. That’s because there are massive taxes on flights leaving Great Britain that you have to pay on awards. Avoid them by booking one way to London with Virgin Atlantic miles, taking a train or low cost carrier flight to the continent, and continuing your journey from a low tax country. Virgin Atlantic will occasionally run sales like the 30% off of Economy and Premium Economy awards between North America, the Caribbean, the Middle East, India, Africa, and Asia and the UK that ran last year. If you book your award during a sale like that, you can fly the first sweetspot mentioned (northeast US to London in Economy) for only 7,000 Virgin Atlantic miles. The Premium Economy award on the same routes would only be 12,250 miles. If you want to filter by cabin type, click the “Show advanced options” dropdown at the bottom of the search form. Find a date that has the award space you want and click on it. If there’s more than one flight available that day, click the flight you want and the miles needed and the total in taxes and fuel surcharges will appear on the right side of the screen. If you click the Show Details dropdown, you can see the aircraft. You can find seat maps on Seat Guru. Most of the planes, including the 787-9 Dreamliner, have Upper Class in a 1-1-1 configuration. I’d pick an A seat since G and K share an aisle. I’d also pick a seat up front to avoid the noise from the bar behind 10G. You can book Virgin Atlantic awards flying Virgin Atlantic planes on Virgin Atlantic’s website. Use a card with no foreign transaction fees, since purchases from foreign airlines often code as a foreign transaction even when denominated in dollars. Virgin Atlantic miles are valuable for booking Virgin Atlantic flights as there are some dirt cheap prices to fly to London (remember leaving London on award is never a great idea as you incur expensive fuels surcharges). There are fuel surcharges on Virgin Atlantic awards that fly Virgin Atlantic flights, including occasionally large ones on Upper Class awards, but sometimes the miles price is so low that the surcharges are worth paying. Editorial Disclaimer: The editorial content is not provided or commissioned by the credit card issuers. Opinions expressed here are author’s alone, not those of the credit card issuers, and have not been reviewed, approved or otherwise endorsed by the credit card issuers. The comments section below is not provided or commissioned by the bank advertiser. Responses have not been reviewed, approved, or otherwise endorsed by the bank advertiser. It is not the bank advertiser’s responsibility to ensure all questions are answered. If you liked this post, sign up to receive one free daily email every morning with all of the day’s posts! You can also follow MileValue on Twitter and Facebook. Next articleIs It OK to Offer Someone Money for His Seat? Sarah Page Maxwell became a miles nerd after moving her base to Buenos Aires and beginning a transient lifestyle that would be otherwise too expensive without miles and points. In addition to travel, her other passions include hot sauce, yoga, and her boston terrier Omar. Free Personalized Credit Card Consultation: We start with your goal and work backwards, determining the best rewards for that trip, and then the best cards to get those rewards. Award Booking Service: We use your miles to book you an award that you can’t book on your own. 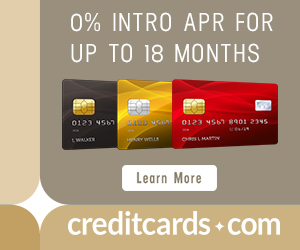 Many of the credit card offers that appear on this site are from credit card companies from which MileValue.com receives compensation if you are approved. 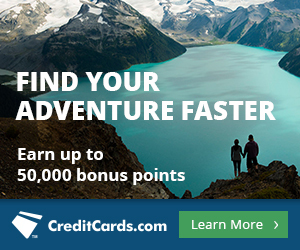 Compensation impacts placement of cards on the credit card page and banner placement, but does not on the articles posted on MileValue.com. This site does not include all credit card offers available in the marketplace. Southwest Companion Pass Master Thread: It’s That Time of Year! Sarah Page Maxwell is a miles aficionado and avid traveler, born in Virginia, raised in North Carolina, and currently based in Buenos Aires, Argentina. She has earned and redeemed millions of miles for herself and others. Traveling for free, the 29-year-old has been to 20+ countries, making sure to catch as many sunsets in each that she can. MileValue is the only miles-and-points blog that thinks systematically about the value of your miles and how to maximize that value!